VALDOSTA – Immunization is a shared responsibility. Vaccines are among the most successful and cost-effective public health tools available for preventing disease and death. Vaccines not only help protect our children, but can also help protect entire communities by preventing and reducing the spread of infectious diseases. 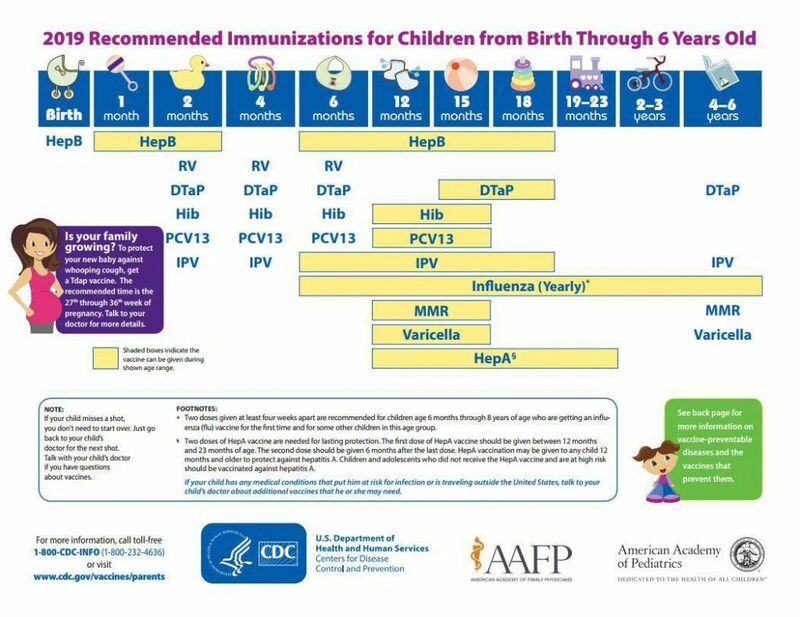 National Infant Immunization Week (NIIW) is April 27 – May 4, and Georgia Department of Public Health’s South Health District urges South Georgians to speak with a health care provider or doctor to make sure their infants are up-to-date on vaccinations. NIIW is a call to action for parents, caregivers and health care providers to ensure that infants are fully vaccinated against 14 vaccine-preventable diseases. In Georgia, there have been three confirmed cases of measles since January 1, 2019. Because measles is a highly contagious disease that can lead to serious complications and death in infants, it’s important for parents and caregivers to make sure their families are up-to-date on their vaccinations. Vaccination is the best way to protect others you care about from vaccine-preventable diseases. For more information on vaccinations, visit http://dph.georgia.gov/immunization-section.